Captivating harp duo 94 Strings is a collaboration between Sussex-based harpists Alexandra King and Fiona Hosford. With decades of experience between them, they explore all kinds of music from Bach to the Beach Boys. Alexandra and Fiona met in 2014, bonding over a mutual appreciation of exciting harp repertoire, cats, and gin. Both harpists studying under Helen Arnold, they have been playing for weddings, concerts, and other events for many years. Fiona began her studies on the harp aged just 6. 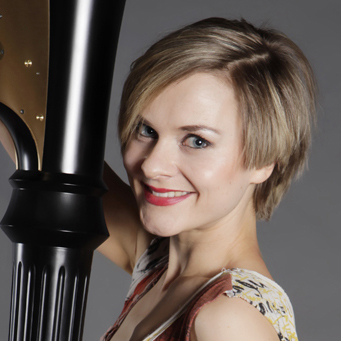 Since then she has performed all over the UK and abroad, enjoying a successful and varied musical career as one of the South East’s most highly recommended harpists. Her sense of humour and natural musicality ensures that her playing is always a joy to hear. Previous engagements include performances for Wimbledon and Tour de France, at the V&A Museum in London, and for various A List celebrity events. 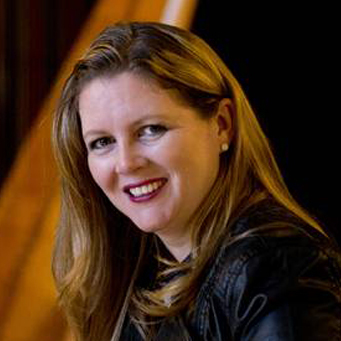 Alexandra started piano lessons aged 7, picking up the harp aged 16. Her skills on the piano helped her to progress quickly, joining the Brighton Youth Orchestra just one year later, before continuing to achieve her BMus(hons) degree in Music Performance. As well as for numerous high profile events, Alexandra has performed on live television and radio. She has a passion for all kinds of music, from classical and jazz to more modern and electronic styles. 94 Strings have a varied repertoire including classics such as Faure’s Berceuse from the Dolly Suite and Bach’s Sicilienne, through to more modern songs like Massive Attack’s Teardrop and Bill Withers’ Ain’t No Sunshine. Whatever your taste in music, 94 Strings play music everyone will love.